Progress: it’s more about the journey than the end result, and PumpUp member @dezireeryonna can confirm! "I was always overweight. I wanted to be ‘skinny’ so bad that I lived a very unhealthy lifestyle to do so. Don’t ever sacrifice your health. I’m doing it right this time, and so can you." 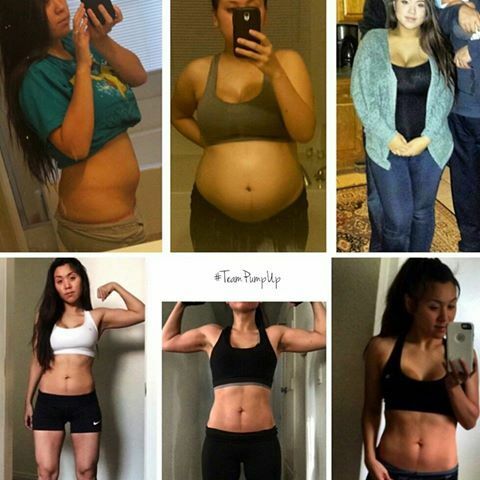 She lost over 60 lbs of her pregnancy weight, going from 189 lbs to 128 lbs by eating lots of protein, complex carbohydrates, healthy fats, as well as fruits and vegetables. She works out from home with 45-60 mins of high intensity interval training. Check out our full photo challenge.